200g white marshmallows – I only had a bag of multi colored mini marshmallows, and it worked great. Place the biscuits in a large Ziploc bag and seal it. Use your hands and just crush it into smaller pieces. I just crushed it, did not want to end up with only powder, so kept some pieces bigger than others. 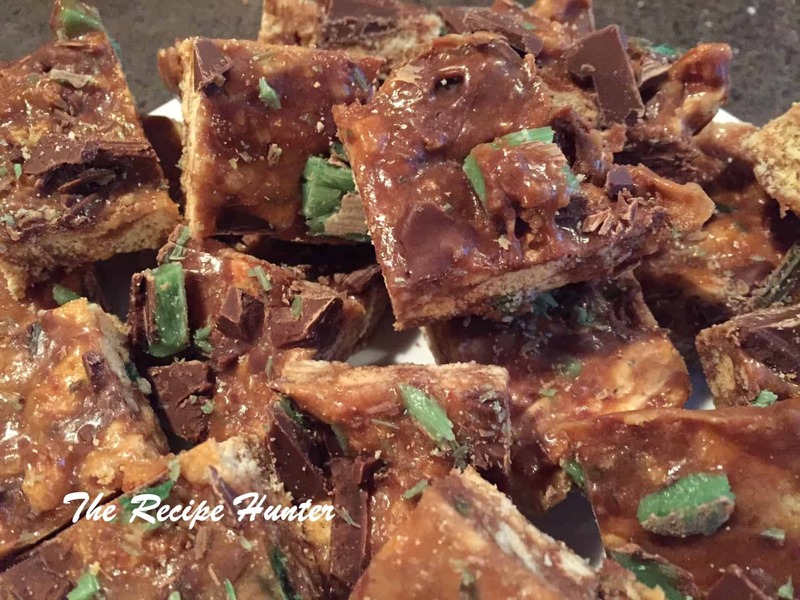 Place the peppermint crisp on a cutting board, and slice it with a sharp knife into strips and then cut into smaller pieces. Again, not too small, but it depends on your own preference. Mix the biscuits and half the peppermint crisp, and keep the rest aside. Keep the 2nd half of peppermint crisp for the topping. Place Marshmallows in a glass bowl with margarine and microwave for 1.5 minutes, and mix well with a spatula. Add the biscuit and candy mix together with the marshmallow mixture, then work gently and fold it in. Scoop into a parchment lined rectangular dish. Refrigerate for 2-3 hours and cut into squares.